Dimensions: Moira Mesh - Ø70mmx120mmH. Rough Billy - Ø100mmx90mmH. Tall Stuart - Ø90mmx170mmh. 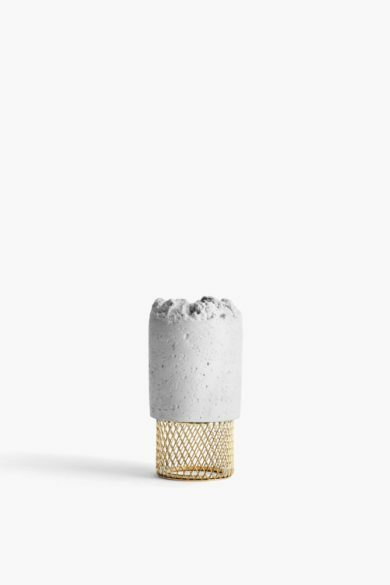 Available In: Moira Mesh Concrete with Brass Base, Rough Billy Concrete with Copper Base, Tall Stuart Concrete with a wood base. 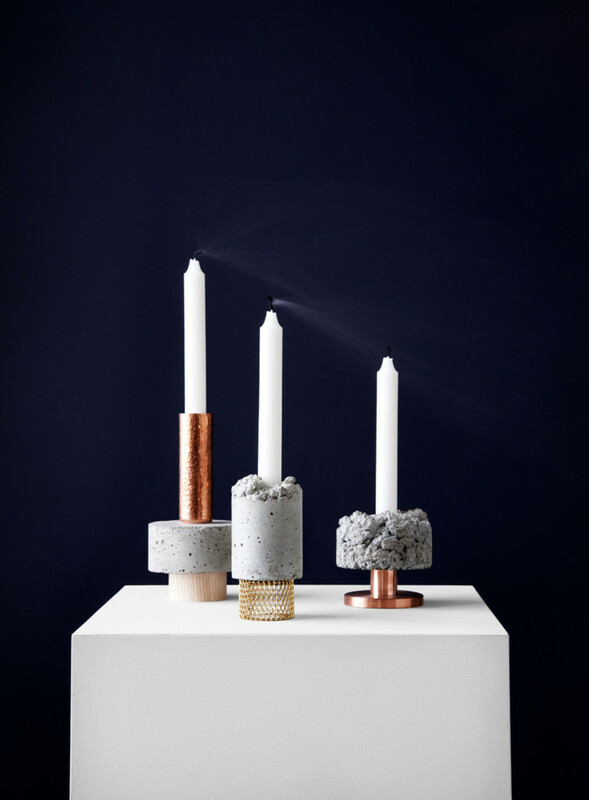 Objects that are rough and refined, hard and soft, functional and sculptural, the Crowd Candle Holders act as miniature installations. 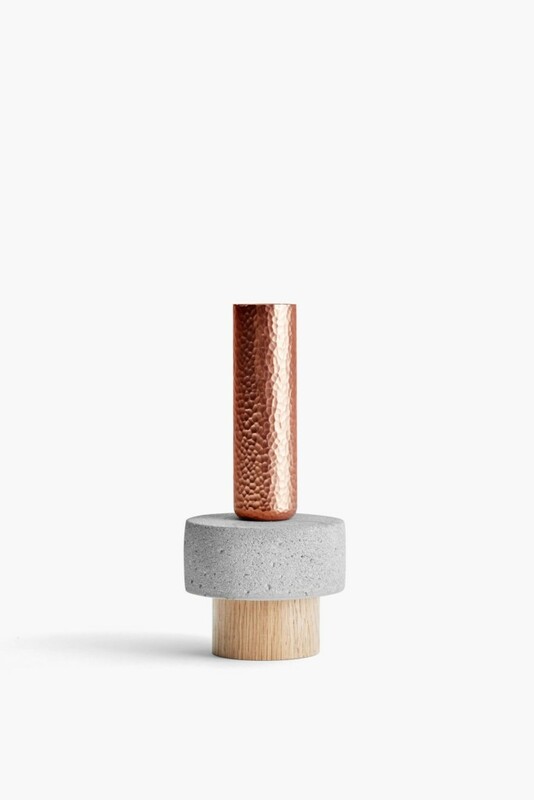 Experimenting with concrete, wood, aluminium and copper, David has conceived much more than a simple candle holder. 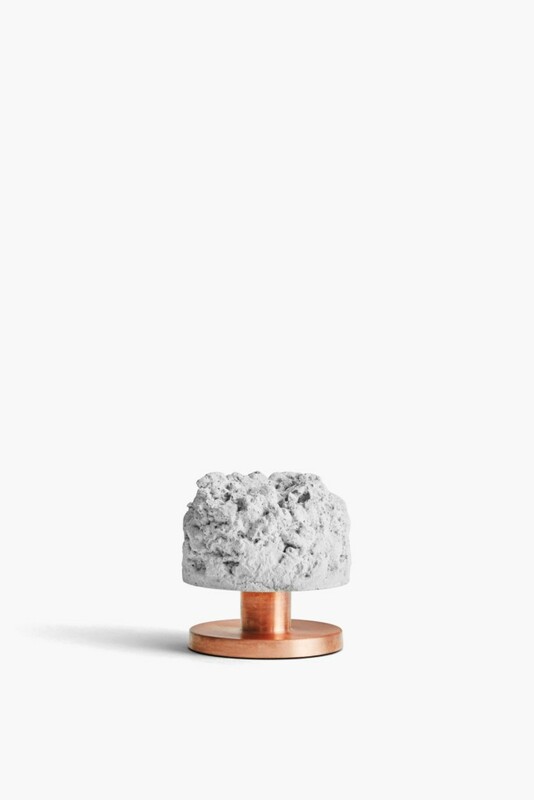 These material experiments are the ultimate meeting ground of design and art.